I wanted to say “thank you” … you are one of the few internet health educators that I am happy to accept as a valid source of well-constructed advice modules and thoughtful coverage of topics! I seem to keep missing any thorough advice (when trawling the internet or doing those long 9 episode presentations by various presenters) on reverse T3. Its causes, its implications, and its required actions. We need to address a reading that is double the upper end of the accepted reference range here in Australia. Any suggestion or advice would be gratefully received for my 23-year-old daughter who has had CFS for 10 years now. She is semi-functional, but, still, dreadful! Hey there Linda – thanks so much for reaching out, and thank you for the kind words. This is for you, your daughter, and for everyone else who is curious about reverse T3 (commonly referred to as rT3). Should I test my rT3 levels? Is rT3 making me sick? What is the best range for rT3? Can a high dose of T3 lower my rT3? How else can I lower my RT3? I am going to do my best to cover all facets of this because it is important. If you are wondering about your rT3, I want you to get a proper diagnosis and treatment so that you can feel better and be confident in your health. I also want you to avoid any approaches that could be harmful to your health. Too much thyroid hormone. The most common reason for high rT3, by far, is an excessive dose of thyroid medication. Some who have Graves’ disease can also have high rT3 (but they are less commonly tested for it). An undiagnosed stressor on the body, like an illness, a medication reaction, or an infection. A lab error. This is especially true if you are on thyroid medication or have autoimmune thyroid disease. No reason – it is possible for rT3 to be high in healthy people. If you have not tested your rT3, I do not advise on doing so – and I will explain why as we go along. If you are on thyroid treatment and are not feeling your best, the rT3 will not give any useful information in addition to a standard thyroid panel. If your TSH levels are off, your rT3 will be off in the opposite direction. If everything else is optimal, your rT3 is likely to be normal, as well. If it is not, it is likely a lab error (as we will also talk about). If you are not on thyroid treatment but are not feeling well, your rT3 may be high if you are seriously ill. However, it will give you zero clues as to what is wrong. You can also be sick and have a normal rT3 or be perfectly healthy and have an abnormal rT3. In Conclusion: The end of this article will give you the rest of the story on rT3 and explain how the conflicting ideas came to be. 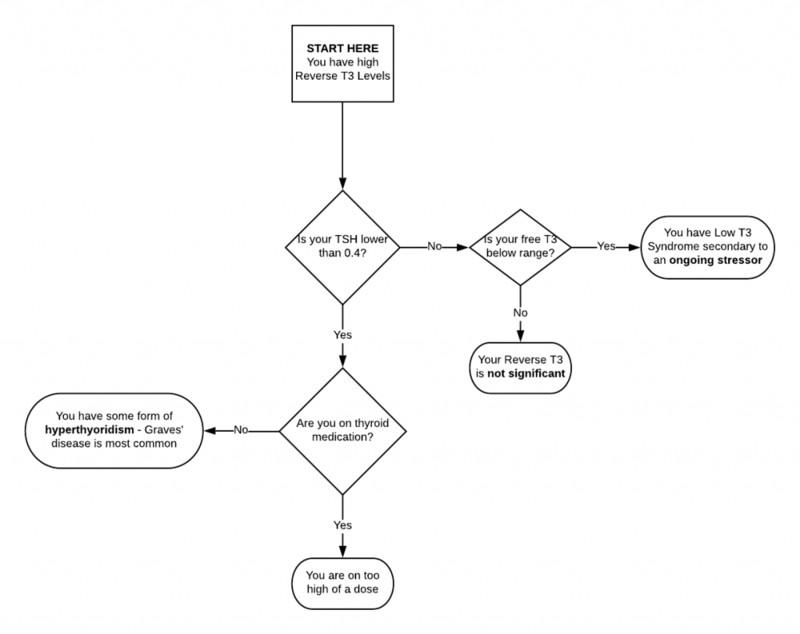 If yours is off, it will help you find your causes and figure out what to do. If you wish to jump to it, my feelings won’t be hurt. For those who want the full story, pour yourself a cup of chamomile tea and prepare to get cozy! Conventional doctors do not generally test for rT3, and they will often discourage patients from it entirely. Their lack of interest with all things rT3 is often interpreted as a lack of concern or a lack of understanding. Some alternative doctors do test for it. If they find it high, they commonly treat it by giving high-dose T3 medicine, iodine, or herbal compounds. Does rT3 matter or not? Both sides cannot be right. The truth is not necessarily somewhere in the middle, but it is important that we figure this out. Let’s start out with some facts. T3 is one of the active hormones made by your thyroid. Quite simply, rT3 is its inactive form. It is the same molecule, but a mirror image – a reverse. Imagine a pair of gloves – one right and one left. They both have the same number of fingers and thumbs, but one is a mirror image of the other. Your right hand will fit in the right glove better than in the left. So, too, there are cases where one version of a molecule works in living systems differently than its mirror image. For a better understanding, it would help to give an overview of thyroid hormones and how they are made. Below is an image that illustrates the production of thyroid hormones. I know it looks daunting and a bit science-y, but hang tight, I’m here with you. Let’s start at the upper right where the word ‘blood’ is written inside the red column. Below the word ‘blood,’ is an arrow pointing to a letter ‘I’ – representing the iodine in the bloodstream. Iodine is pulled into the thyroid by a mechanism called the sodium iodine symporter (Na/I). This is basically a pump that pulls iodine inside the thyroid against a strong gradient. It is so powerful that your thyroid may have 50 to 100 times as much iodine as your blood does. Once iodine is inside your thyroid gland, it is brought into a nursery of cells known as a thyroid follicle. There it is mixed with a protein called thyroglobulin which is made from the amino acid tyrosine (that mixing occurs in the pink section on the far left of the image). When four iodine atoms are mixed with thyroglobulin, the result is the hormone thyroxine (also called T4). Get it? ’T’ is for thyroglobulin, and 4 is for the four iodine atoms. I told you it would be easy! About 90% of the hormone the thyroid makes is T4. Another 10% is T3, which, now that you get the lingo – you could guess is nothing more than a thyroglobulin protein with three iodine atoms attached. The same applies to thyroid medications. Levothyroxine (Synthroid, Tirosint, Levoxyl) contains T4, as does compound T4. Cytomel (liothyronine) contains T3 as does compound T3. Natural Dessicated Thyroid (NDT – brands such as Armour, Westhroid, Naturethroid, WP Thyroid, and NP Thyroid) contain T4, T3, and T2. Compounded medications can also combine T4 and T3 but do not include T2. Blood tests for T4 and T3 can measure the total amount of active and inactive hormone or just the active fraction. Tests for the active fraction are called free T3 and free T4. Tests for both are called Total T3 and Total T4 or just T3 and T4. The free tests are preferable and used in most cases at present. In Conclusion: For simplicity’s sake, in the remainder of this blog, I will refer to thyroid hormone tests and levels by just T3 or T4. When the body calls upon the thyroid to release hormone, the T4, and the T3 into the yellow orb on the lower portion of the image and then enters into the bloodstream. By the brain, controlling how much hormone is released by the thyroid. What we call peripheral metabolism. This includes all the mechanisms outside of the thyroid that convert, activate, and break down the thyroid hormones. So, what about rT3? We have to step outside the thyroid before it even enters the story. 95-98% of the rT3 in the body is made outside of the thyroid1. The image below shows what happens to thyroid hormones when they leave the nest and circulate through your body. The top and the left of the image show the T4 and the T3 that we just discussed. When things are working right, your thyroid gland makes more T4 than your body will likely need and most of it gets made into rT3. rT3 has all of the same atoms and molecules as T3, but they are in a different configuration. They are mirror images of each other. If you take a close look, T3 has one iodine on its outer ring and two on its inner ring. 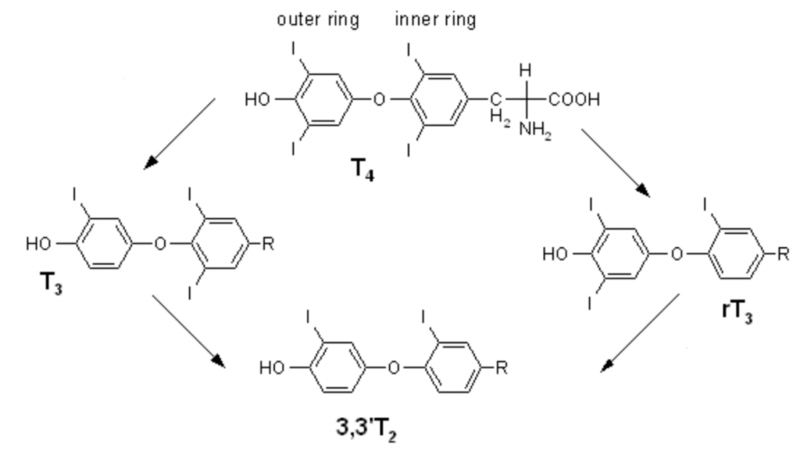 Reverse T3 has the opposite, two iodine atoms on the outer ring and just one on the inner ring. The conversion of thyroid hormones is done by three main enzymes that selectively remove iodine atoms. They are called deiodinase 1, 2, and 3 or D1, D2, and D3 for short. As a nutritional point of interest, these enzymes depend on adequate selenium and zinc to work properly. D1 is most active in the liver and the kidney and can act on the inner or outer ring of T4, therefore it can make T3 or rT3. It turns out that much of our knowledge about these enzymes comes from animal studies, mostly rats. Rats have greater D1 activity in their livers than do humans3. In humans, D2 is probably a larger contributor to circulating rT3. It is most active in the heart, muscles, fat, and nervous system. It can only act on the outer ring and can only make T3. D3 is in the placenta and in the brain, it can only make rT3. It is also found in hemangiomas. If it is normal to make most thyroid hormones into rT3, how is it possible that we can get too much of it? First, imagine that you are heading home from a long day from work and are eager to unwind and relax. In the last mile before you reach your driveway, you start your car and it starts to sputter and stall. Would you drive that last mile home, slowly and carefully, or as fast as you could? Most of us would take it slow. We know that if we drive gently, the car has a better chance of making it a little bit longer. It would be far better to make it home and deal with the car tomorrow then it would be to break down on the side of the road late at night. When we are sick, our bodies make the same decision. Think of thyroid hormones as the gas pedal. When there is something wrong, your body wants you to take it easy so it can put more of your energy into recovering. It does this by inactivating a larger amount of thyroid hormones than it does when you are healthy. In the mid-1970s, researchers identified a condition they named Non-Thyroidal Illness Syndrome (NTIS). The name implies abnormal thyroid levels in the context of illness that are not caused by the thyroid. If someone’s thyroid quit making hormones, it was normal that T4 and T3 would get low. But in these cases, there was enough T4 and the TSH levels did not suggest hypothyroidism, but T3 was too low. If the researchers happened to test for rT3, it was often elevated in these cases (but sometimes it was normal or even low). Along with NTIS, this phenomenon is called Euthyroid Sick Syndrome (ESS), or low T3 syndrome. There has been some tendency to refer to the condition as ESS when identified in hospitalized patients and NITS when non-hospitalized patients are also included. NTIS is turned on by many mechanisms which can work alone or in various combinations. One that the hypothalamus may quit telling the pituitary to tell the thyroid to work. Key Insight: The hypothalamus releases thyrotropin (another name for TSH) releasing hormone, also called TRH. This hormone causes the pituitary to release TSH which causes the thyroid to release T4 and T3. A final factor is the blockage of rT3 to T2 conversion. This effect is likely the largest contributor to high rT3 levels because it prevents rT3 from being eliminated. Normally rT3 is broken down into T2. Since T2 is also an active thyroid hormone, its formation is blocked during NTIS. This lack of T2 formation removes the normal route by which rT3 is eliminated, causing it to build up. In fact, T2 blockage is responsible for more of the buildup of rT3 than is T4 conversion7. Many experts posit that less T3 is an adaptive response to spare the energy levels and raise the odds of healing. At least, I assumed so until writing this article but I have seen arguments on both sides. Whether or not the body’s efforts to lower T3 are helpful or not, there is no current evidence that giving T3 makes things better. Researchers have conducted many studies in which critically ill people with severe NTIS were given thyroid medication and they compared the results against those who were not. Some studies suggested it could help with the final stages of congestive heart failure. Larger follow up studies showed that it did not. That was about as close as there were to any signs of benefit. Many studies were done with many other conditions. Some gave T4, others gave T3 but the results were the same. If you are sick and your body is turning lots of your T4 into rT3, it won’t help matters to give more hormone9. This does not mean that no one with NTIS should ever be on any thyroid medication. There are times where someone was already on treatment for hypothyroidism and something else went wrong. In those cases, they would likely need to stay on treatment and it might need to be modified. In other cases, whatever else went wrong ended up causing hypothyroidism and along with a low T3, they got a high TSH and a low T4. In Conclusion: Those cases warrant thyroid treatment, but they still necessitate addressing the cause. In the last scenario, some have lapsed into thyroid disease soon after their illness – they also need thyroid treatment. There are different normal ranges and different units listed based on which country and which regional lab does the analysis. LabCorp lists the adult (over 16 years old) range at 9.2 – 24.1 ng/dL10. The most recent published paper focusing on NTIS used a range of 0.11 – 0.44 nMol/L. To put into equal units this is 3.1 – 12.6 ng/dL11. Every other example I have found of a normal range is different from these two. There is no consensus on the normal ranges because there is no known normal or optimal range. Both healthy and sick people have a wide range of rT3 levels, often without a clear pattern. rT3 is often analyzed by a process called immunoassay. This is known to show falsely elevated levels in people who are on thyroid medication and in people with autoimmune thyroid antibodies. Another analytic method called liquid chromatography-tandem mass spectrometry (LC-MS/MS) does reduce these errors but does not eliminate them12. Key Insight: There is also a high rate of elevated rT3 in healthy people with no symptoms and no apparent signs of thyroid disease. rT3 is often elevated in NTIS as a symptom of the condition, not a cause of the condition. Imagine aliens looking at London from above and mistakenly thinking that umbrellas cause rain rather than vice versa. It is not a trivial distinction. If rT3 caused NTIS, you could prevent NTIS by starving the body of the T4 which it makes into T3. This is a strategy many alternative doctors attempt and it is an error of backward causality. Making the body unable to form rT3 does not heal the symptoms that go with NTIS. T3 is an active thyroid hormone and rT3 is inactive. However, it is not a blocker of thyroid hormone activity. It is erroneous to attribute symptoms to the presence of rT3. In those same situations, the symptoms would be from whatever abnormality gave rise to the production of rT3. The one thing rT3 does do is activate reparative mechanisms within the brain13. T2 is a thyroid hormone that is rarely discussed, yet it has biological activity distinct from T3 and T4. rT3 may also be the body’s preferred source of T214. It also seems that rT3 levels do not fluctuate throughout the day as TSH, T3, and T4 do15. Follow-up studies were done to expand our understanding of rT3. One study looked at fasting patients and the role that NTIS played in muscle loss. They found that fasting patients given T3 medication had higher rates of muscle loss than those who did not. Interestingly they also gave them medications that contained rT3, but they had no effects either way. It seemed that the body benefited because it had less T3, not because it had more rT316. Does This Only Happen In The Hospital? No. Since the early 1990s, it has been recognized that a similar phenomenon can occur in less critical situations that can affect people who are not sick enough to be hospitalized. In such milder cases, NTIS is likely caused by inflammatory cytokines as in the case of infections; abnormal amounts of thyroid binding proteins as in the case of oral contraceptives; or disturbances in the cortisol rhythm as in the case of chronic stress. Why would low-carb diets raise rT3? When we do not consume foods that we can use as sources of glucose, our liver first breaks down its stored glycogen into glucose. When it runs out of glycogen, it converts muscle tissue into glucose. Both of these conversions are driven by the hormone glucagon. It has been shown that high levels of glucagon not only correlate with NTIS but giving glucagon can elicit NTIS19. In one study of women fasting for 14 days, T3 levels dropped to 1/2 of their pre-fasting levels. One subgroup of these women was given continuous intravenous T3. Their T3 rose temporarily yet within a few days their levels had dropped again. Basically, their bodies neutralized it as fast as they were given it. Thyroid medications still don’t help NTIS in non-hospitalized patients. Not only do they not help, but many current studies have shown a higher rate of death in those treated with thyroid hormones20. rT3 is the normal default by-product of the main hormone produced by the thyroid, T4. The body intentionally makes higher amounts of it during some type of crisis metabolic stress. Efforts to work against the body’s attempt to lower T3 and raise free T4 seem to be not helpful or dangerous. In Conclusion: It is also worth noting that rT3 does not always elevate in NTIS. It can often be elevated or normal as well. Thus, it is not an important part of the diagnosis, even for NTIS21. Since the early 1990s, there has been another narrative developing about rT3. In this one, rT3 is harmful and causes symptoms by blocking T3 and lowering the basal body temperature. Blood tests for rT3, T3 or TSH cannot reliably show when it is happening. In this belief system, the only solution is to take high doses of compounded sustained released T3 twice daily. So where did all the other ideas about rT3 come from? Please know that I prefer to avoid confrontation. It would be my preference to play nice with everyone, always get along, and have fun. However, there are situations in medicine in which educated and well-intentioned people can put their patients in harm’s way. This can even happen when their ideas seem intuitive and even when some patients seem to benefit from the approach. That said, I could not respect myself if I did not speak out. If this were a harmless difference in opinion, I’d be happy to agree to disagree and move on. It is not harmless. People have died from this approach. I had a patient of mine see another doctor and end up on Wilson’s protocol. She ended up spending months in a coma on life support from an overdose of T3. She never recovered from the damage to her brain or her organs. In another set of cases, I remember seeing a young couple in their 40s who were both on Wilson’s protocol. It seemed to give them more energy at first but now it was no longer working. They saw me for another opinion on their thyroid care. They were on high doses of T3 for some time and both had severe palpitations. I had them see a cardiologist to make sure they had not sustained damage to their hearts. It was too late. Both were found to be in late-stage congestive heart failure. Neither had any prior risk factors for cardiac issues. The cardiologist diagnosed their heart failure as being caused by high doses of T3. Even after stopping T3, they still stand to lose from their lifespan. Sadly, I could give numerous more cases like these. I first heard about Wilson’s syndrome in the 1990’s while in medical school. The talk at the time was that it was a powerful approach that could help people. In my first year of practice, a patient who was on the protocol from another doctor asked me to take over her care. She showed me the protocol she was on and explained how she was off to a good start and just needed more medications for her next steps. I read Wilson’s Protocol Doctor’s Manual available at the time and found it intriguing. I was eager to help and thought this might be a new type of therapy I could use to help others. I prescribed her an additional supply of the smallest dose available. She had already been on it and I asked her to remain on it while I studied the protocol further. I got an after-hours call that same evening. Immediately after starting the new prescription, her heart started racing out of control. It was the same dosage, but I did not know if her next batch was compounded differently or if her body had just had enough. I asked her to stop completely for the time being. I then read everything I could find, not just the materials from Dr. Wilson. I regret not doing so sooner. What I learned shocked me. Dr. Wilson was no longer practicing because a patient of his died. The records ascribed her death to a thyroid overdose. I found other stories of patients who had been harmed from this same protocol from doctors Dr. Wilson had trained. Experiences like this have shaped me into someone who is more cautious and thorough. I harbor no ill will toward Dr. Wilson. I doubt neither his sincerity in his ideas nor his eagerness to help people. In a perfect world, he would retract his ideas insofar that they do not impune with the known facts about thyroid physiology or clinical outcomes. I do not expect this to happen and I do believe that some doctors will continue to embrace his ideas despite the mounting evidence. I can only hope that those who are receptive to facts will reconsider. His work is universally discredited in the endocrinology and thyroid health communities. However, alternative doctors may find it easy to ignore admonishments from conventional sources. Perhaps since I am far from an outsider to alternative medicine, I will have more of a chance of being heard. “A patient came to my office and she brought with her a book and she said that I should read it. It was called Hypothyroidism: The Unsuspected Illness, by Broda Barnes, MD. In that book, he explains the importance of using body temperature as a guide to evaluate thyroid function. I was intrigued by that and also his suggested treatment of using desiccated thyroid as an empirical treatment to normalize the body temperature. Though I did not look at the book for a few weeks, I eventually read it and decided to try his approach in a few of my patients. To my surprise, some of those people got 100% better. That was really illuminating to me because, according to my training in medical school, that was not supposed to happen. These people had normal thyroid blood tests and, supposedly, that meant that they could not benefit from thyroid hormone treatment. These people did not get just a little bit better; they got completely better. It did not work for all the patients I tried it with, but it worked in about 60% of cases. Barnes argued that healthy people should have an axillary (underarm) morning BBT between 97.8F to 98.2F. If it was lower and they had any symptoms, they needed to take thyroid medicine and increase the dose until their symptoms resolved or until their temperature elevated above 98.2. Axillary temperatures = oral temperatures. The thyroid is the prime regulator of BBT. BBT should not deviate from 97.8ºF to 98.2ºF. The BBT goes up as thyroid doses go up. Thyroid doses are safe unless the body temperature elevates. I will go through these points in some detail because BBT is pivotal to many of the alternative views on rT3. Here is what current research tells us about these points. Do Axillary Temperatures Equal Oral Temperatures? Furthermore, Barnes based the similarity between oral and axillary temperatures on male military recruits. They were inherently younger and more physically active than many populations. They also did not reflect normal temperature variations found in menstruating women. Data has shown that physically active males have less circadian temperature fluctuation on their axillary temperatures. Their morning readings would, therefore, run higher than morning readings of a less active population24. Unlike Dr. Barnes, Dr. Wilson recommends taking the temperature orally every three hours or three times daily. He suggests that if the average temperature is below 98.6, Wilson’s Temperature Syndrome is present. Is The Thyroid The Prime Regulator of BBT? </h3? No. Although the thyroid is a key player in regulating metabolism and temperature, a cascade of other hormones and messenger molecules such as leptin, epinephrine, norepinephrine, and cytokines also play a role. BBT is governed by many internal and external factors and not just the thyroid gland itself. External factors, such as time of day, season, diet, and lifestyle and internal factors, such as age, fitness, and circadian rhythms play a significant role in temperature variation25. Is BBT In Healthy Populations Always Within the Range of 97.8 to 98.2? No. As modern medicine grows toward evidence-based practice, we now understand that there is variability in temperature and that normal temperature occurs within a range of values. In 2002 a comprehensive review of credible papers on normal human body temperatures from 1935 to 1999 was published. It showed that the range of normal temperatures was from 91.8ºF to 100.6ºF for women and 96.2ºF to 99.9ºF for men. Does BBT Elevate As Thyroid Doses Increase? No. In a study of 66 trauma patients, AM axillary temperatures were correlated with TSH, T4, free T4 index, and T3 uptake. Of the subjects, 86.4% had temperatures below Barnes’s threshold of 97.8ºF. Of this subgroup, 70% had no abnormal thyroid markers. Of the remaining 13.6 individuals with BBT readings within Barnes’s guidelines, 67% had no abnormal thyroid markers. BBT did not correlate with measured thyroid dysfunction27. Are thyroid doses safe unless the body temperature elevates? No. In a study correlating thyroid function with BBT, Ljunggren et al. (1977) found that serum T3 showed a strong inverse relationship with BBT with the lowest levels being present at febrile temperatures of 104ºF. TSH did not correlate with BBT, and reverse T3 showed a nonlinear relationship28. Barnes’ work has helped many of us realize there is much more to it than that. His work connects us to a time when neither accurate lab values nor biases towards any particular treatment existed. In many of us, he has instilled a spirit of championing patients’ needs over the dogma. However, with our present knowledge, BBT cannot be safely relied on to prevent hyperthyroid adverse effects of thyroid therapy. The partial truth is that BBT elevates well above normal in cases of thyroid storm29. In Conclusion: Short of this crisis state, hyperthyroidism does not consistently or proportionately raise BBT30. Therefore, BBT is not a reliable indicator of hyperthyroidism31. Barnes really was the first prominent doctor to offer a model of thyroid care that differed from the mainstream model. The alternative views on rT3 are largely from E. Denis Wilson – who was influenced by Barnes. Like Barnes, Dr. Wilson relies on BBT to diagnose who stood to benefit from thyroid treatment and to determine when the treatment levels are ideal. Unlike Barnes, Dr. Wilson concedes that blood markers are adequate to diagnose hypothyroidism. However, Wilson argues that certain symptoms, in the absence of overt hypothyroidism, are caused by a problem with rT3 metabolism. He first called this rT3 problem Wilson’s Syndrome, naming it after himself. Doctors who discover new diseases are sometimes honored by having their name ascribed to the condition. By routine, this is done by the doctor’s peers, and usually after his or her death. Another complication with the self-appointed moniker is that there was an unrelated condition called Wilson’s Disease. In more recent years, Wilson has renamed the “condition” Wilson’s Temperature Syndrome (WTS). 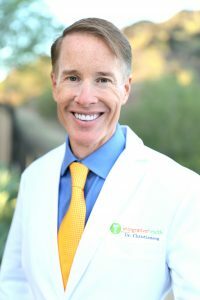 Since Wilson believes that rT3 is the cause of the symptoms, his proposed solution is to make the body unable to produce as much rT3 by withholding thyroid medicines that contain T4, such as Synthroid or NDT and preventing the body from releasing its own T4. Dr. Wilson recommends T3 in the form of compounded sustained release T3 for treatment. By in large, Dr. Wilson acknowledges that Non-Thyroidal illness (NTIS) is the mechanism by which rT3 elevates. He departs from agreed-on facts with the claim that high levels of rT3 somehow block D1, D2, or D3 enzymes and become self-perpetuating. Key Insight: This means that if a person’s body changes to convert much more T4 to rT3, they run the risk of getting stuck and being unable to return to normal function. Others wondered this same thing in the 1970s, but research showed it not to be the case. In NTIS, illness does trigger a higher rate of rT3 formation, but the condition is known to reverse if the underlying illness resolves. The solution Dr. Wilson proposes is to take T3 medications in sufficient quantities to overcome this blockage. By ingesting high enough doses of T3, one could resume a better proportion of T3 to rT3 and reactivate the body’s ability to form T3. By his logic, he also withholds T4 containing medications so that there is no more substrate to make into rT3. He further claimed that much of these thyroid hormone reactions occur only within the cell membranes and therefore do not show up on blood tests. He states that NTIS can happen without any measurable changes to blood levels of T3 or rT3. A frequent criticism of Wilson’s logic is that if there is no way we can measure this intracellular excess of rT3, how does he know it is occurring? His two responses are that the basal body temperature (BBT) shows that T3 is inhibited. Therefore, patients with WTS symptoms and a BBT below his range can respond to T3 treatment. As mentioned in Barnes, the selected target of BBT is far narrower than the range found in healthy people. Wilson’s argument lives or dies based on this core claim: Can high rT3 block T4 even after the cause of high rT3 has resolved? All of the known pathophysiologies regarding rT3 and NTIS says that it is not. To be fair, I found every reference that I could that Dr. Wilson used to support this claim. The following was the quote from his work that I feel most fairly made this point. When writing this paper, I wanted to be fair and look at any references or citations Dr. Wilson had for this claim. The crux of his work rests on the accuracy or the falsehood of this statement. If rT3 can inhibit T3 formation, the body can get stuck and his premises have merit. If it does not, they do not. In this 1976 study, researchers gave volunteers doses 80 mcg of rT3 every 6 hours for two days, as they monitored their blood levels of T3, rT3, T4, TSH, and prolactin. They also did a thyrotropin-releasing hormone test on day two to look for any change in the hypothalamic function. The results were as follows: The present studies have demonstrated that physiologic increases in serum rT3 concentration do not alter the basal serum concentrations of T4, T3, TSH and prolactin or the serum TSH, prolactin and T3 responses to iv TRH. The findings from this study are congruent with that we have learned since. rT3 does not block T3 formation. It forms when the body is preferentially making T4 into T3 but there is no point at which rT3 creates a vicious cycle as Wilson claims. Key Insight: In other words, rT3 did not change any thyroid levels. The subjects got as much as people get from NTIS and nothing happened. This proves that the modern model of NTIS is not about the thyroid. rT3 did not block T3 formation. The reason the body formed rT3 was the cause of the decreased T3 formation. If the underlying reason were not resolved, adding more T3 would not fix things. I also found the claim about rT3 blocking T3 in Dr. Wilson’s book. I will address each of these citations individually. If any supported his premise, I would have been happy to have changed my mind. It would be wonderful if we had a simple answer for the long list of symptoms he mentioned. This study monitored blood markers including rT3, T3, TSH, T4, urea, and triglycerides in obese patients on 6 weeks of a 300 calorie per day diet. This study was a test tube study. In it, it was shown that cells soaked in T3 had higher ATP/ADP ratios than did cells soaked in rT3. When the rT3 was removed and the T3 was put back, the ratios changed back. Nowhere in this study was any evidence that rT3 blocked T3 in cells or much less in humans. In other words, injecting rT3 in mice repressed some liver genes. It did not say that rT3 blocked T3 or its effects. I read the full study. It was a test tube study about binding properties of apoB/E receptors. I’d highly recommend reading the study as a cure for insomnia. The word “Thyroid” was used on occasion, but nowhere in it was any discussion about rT3 blocking the effect of T3. We will ignore the fact that what happens to fasting cockerels may not apply to what happens to people. Competitive Inhibitors can be reversible or irreversible. When they are reversible their effect stop when the concentrations change. When they are irreversible they do not42. It is true that rT3 is a competitive inhibitor for T3 but it is a reversible inhibitor, not an irreversible inhibitor. This distinction is defined by the dissociative constants, as shown in this rat study43: Once the formation of rT3 slows, through negative feedback, the levels of it drop, and it no longer cannot inhibit T3 in humans or in starving cockerels. In other words, this study was not considered valid by later scientists because in it, the researchers gave the subjects high amounts of rT3 from synthetic sources. Nope – another block time lost that I’ll never get back and still no evidence that rT3 permanently blocks T3 formation. Nothing was even close in this study. I read this one too, another rat study. Also, it did not say that rT3 irreversibly blocks T4 synthesis. In fact, it showed that T3 production was robust and can work by more mechanisms than were previously expected. It is conceivable it may have a regulatory role. Never suggests an ongoing reaction that gets stuck. Exact same idea and conclusion as the last study except that it was done within the brains of rats. It is worth noting that in the cerebral cortex, rT3 is made preferentially as it may have a protective role. Here is another case where the title alone makes it a non-starter. A study of extrathyroidal conversion of thyroxine (T4) to 3,3′,5-triiodothyronine (T3) in vitro. It was a 1970 study of what happens to thyroid hormones in a test tube. Not even a rat. What they found was that fT3 did inhibit T3 formation in the test tube, but only when T4 levels were too low. Wilson claims the exact opposite, that low levels of T4 are essential to stop rT3 from inhibiting T3 formation. They noted that the typical ratio in humans was 215. This was another test tube study. Its purpose was to see how thyroid hormones were absorbed by choriocarcinoma cells. The rationale was that these cells’ response might give some clue to the absorption of thyroid hormones by the human placenta in early pregnancy. In Conclusion: There is no credible evidence that high levels of rT3 block the body’s ability to form T3 in a way that is not reversible. I expected to find at least some plausible evidence given the number of citations, but I did not. The only effect that thyroid hormones have been shown to have on the deiodinase enzymes are the exact opposite that is claimed in the WTS model. If Wilson’s ideas were not correct, how come they are still going around? There are examples where initial ideas become disproved but nonetheless linger on. Have you heard that bees’ defy the principles of aeronautics because their wings are too small to give them lift? It is not true, but it still makes the rounds. Did you also know that the Flat Earth Society has more members now than at any time in the past? This is just another unfortunate example of that. While writing this piece, I realized that the misunderstandings behind WTS are a perfect parallel for those behind adrenal fatigue. The central error of adrenal fatigue is the idea that those who have it have fatigued adrenal glands. The thought is that when someone with adrenal fatigue has low cortisol, it is because their adrenal glands are unable to produce cortisol. In fact, the axis in which the adrenals operate (the hypothalamic/pituitary/adrenal axis) is intentionally lowering the body’s exposure to cortisol. This is unlike diseases, like Addison’s, in which the immune system damages the adrenals and leaves them unable to meet the body’s need for cortisol. The mistaken idea that adrenal fatigue stems from broken adrenals gives rise to the strategy of helping it by giving cortisol or other substances toward the goal of causing the glands to make more cortisol. These efforts may help by placebo, by treating symptoms that were about to get better on their own, or because cortisol can be a stimulant. Key Insight: The real solution is finding out why the body is trying to lower its cortisol production and addressing the cause. NTIS is identical. The T3 and rT3 levels are not abnormal from any defect from the thyroid. Rather, they shift due to orchestrated changes in response to a medical or psychological stressor. Just as giving cortisol is not the answer for adrenal fatigue, giving more T3 is not the answer for low high rT3. T3-prescribing doctors commonly deny the dangers of a TSH below the normal range of 0.4. Many doctors state that it is harmless unless the T3 levels are elevated. They claim that when enough thyroid hormone is present, TSH is no longer needed as it serves no other purpose. TSH is released from the anterior stalk of the pituitary gland and circulates through the bloodstream. It is taken up by tissues that have receptors for it. There are two types of TSH receptors: alpha and beta. All of these suggest that it is not simply important for the thyroid. This is why these organs are known sites of side effects from hyperthyroidism. In Conclusion: In hyperthyroidism, bone loss is from TSH suppression, excess T3, and inadequate T4.55 In addition to bone loss, a low TSH raises the total risk for early death. In a study of 235,547 individuals tracked for 7.3 years, mortality was tracked compared to TSH levels. 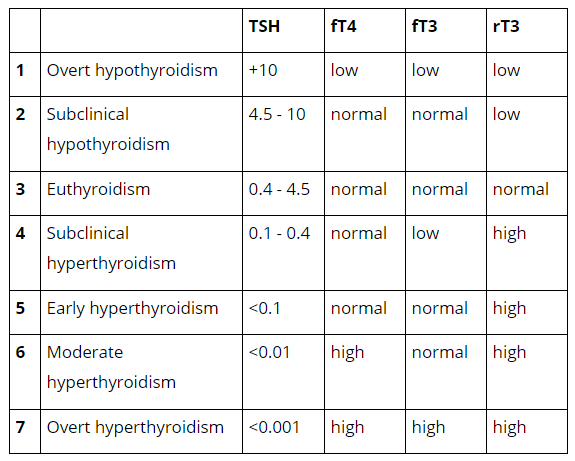 Many individuals were identified as having a low TSH but normal levels of T3 and T4 (subclinical hyperthyroidism); others were identified who had a low TSH and elevations of T3 and/or T4 (overt hyperthyroidism). The clear pattern that emerged showed that even brief periods of TSH suppression increased mortality. The longer the suppression, the greater the mortality risk. Those with a low TSH and normal T3 and T4 levels had a 2.3 times greater risk for mortality from all causes. Another large study had nearly identical conclusions but was more granular about the timeframe. It tracked 239,768 adults for a 16 year period. The conclusions were that the risks increased dramatically the longer someone was hyperthyroid. A low TSH is not harmless. Many patients on T3 therapy are given thyroid hormones 2-5 times daily throughout the daytime. When thyroid hormones peak at other times of day, they can disrupt the circadian rhythm which can lead to issues of insomnia, weight gain, poorer blood sugar regulation, and poorer stress response. In nearly all cases of T3-only prescribing, the amounts of hormone given exceed the normal amount produced by the thyroid gland. How much thyroid hormone the body makes is largely a function of gender and menstrual status. Menstruating women make more hormone because estrogen causes an increase in thyroid hormone binding globulin (TBG) which neutralizes thyroid hormones. 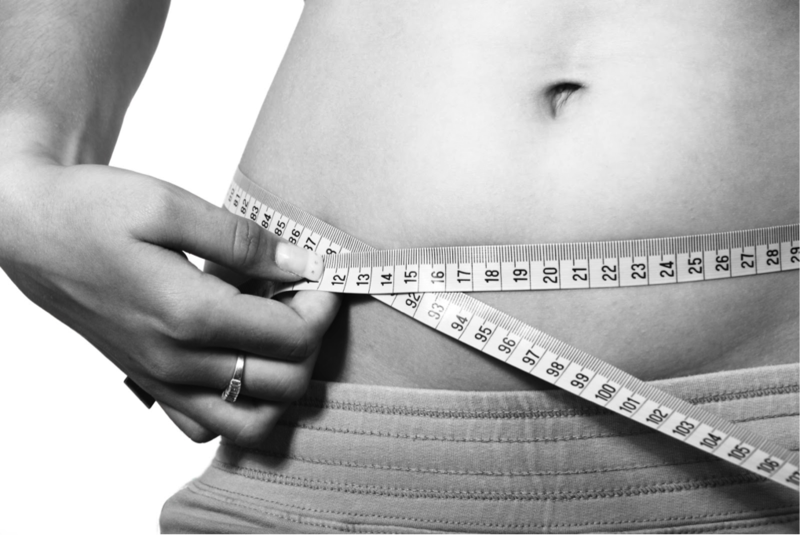 A menopausal woman will produce roughly 2.34 mcg of T4 per kilogram of body weight per day. for menstruating women, the number is roughly 2.44, and for men, it is roughly 1.73. 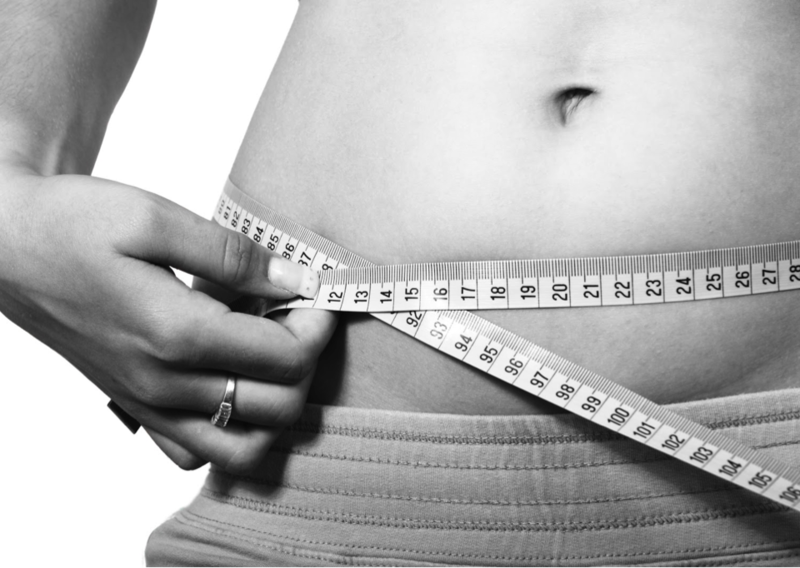 An average sized menstruating woman of 140 pounds (63.3 kg) would, therefore, produce (63.3 x 2.44 = 155 mcg of T4 daily. Considering that T3 is roughly 5 times the potency of T4, this would mean that her day’s production of thyroid hormone would be roughly 31 mcg of T3. If a prescribed T3 dose is higher than the full daily production, it is considered supraphysiologic and carries additional risks. When I encounter patients on T3 only therapy, most are on 75 – 200 mcg of T3 daily – well above their needs. T3 advocates often prescribe sustained released T3 made by compounding pharmacies. The majority of compounding pharmacies purchase T3 as a purified powder. In preparation, most prescriptions are hand-mixed blends of T3 powder and a diluting powder, the combination of which is encapsulated. Key Insight: The problem is that the amounts of T3 used are microscopic. A milligram is about the mass of a single grain of salt. A microgram is one-thousandths of a grain of salt in mass. Pharmacies do not routinely assay their products post-production. I wish this article was not necessary, but I had an encounter that showed me it is probably even more necessary than I realized. Between the days in which I worked on this article, I happened to be doing a book signing. While talking to those in line, it came up that one woman was on T3 to help with her high rT3 levels. She explained how she was a physician and felt that this therapy was the only way she could regain her energy levels. She was happy to share a few details when I asked: she was taking compounded T3 in a dose of 30 mcg four times daily. Her TSH was not low per her best memory. I estimated her to weight 110 pounds (50 kg) at the most and to be well before a normal menopausal age. If her TSH is suppressed, she is in danger. If her TSH is not suppressed, the compounding pharmacy is not consistently manufacturing her pills. If the next batch had the full potency, it could trigger a heart attack by the sudden increase. They could even make it more powerful than prescribed by mistake since their quality control is so poor. I told her that she should not have to live life with fatigue but the task at hand was to find out why she was tired and address the cause, not to find the most effective stimulant available regardless of its safety. When I asked why she thought she was tired, she said that she “crashed her adrenals” between work and raising young children. I asked her if she would consider using cocaine instead of T3 if it worked as well. She said no, of course not. When I asked her why not – she said because it would be dangerous. I never wanted her to take cocaine, but I did want to make a point. I then asked her why she assumed her T3 protocol was safe. He had prescribed T3 to many patients and seen no apparent problems. I told her that risks are probabilistic, not absolute. Few would debate that smoking is a risk factor for lung cancer. Did you know that if you tracked a group of 992 smokers for a year, it is likely you would not see a single case of lung cancer? In a given year there is a 0.08% chance that a given smoker will develop lung cancer. They are at risk and at much higher risk than a nonsmoker, but it would be easy to miss that if we relied solely on personal experience. My heart went out for her. It seemed that she was receptive to my warning. I’d hate to think of her being at unnecessary risk for early death. One of the paradoxes I don’t hear mentioned is that fact that taking too much thyroid hormones can cause someone to feel as if they have too little. Imagine that some with thyroid disease had symptoms of fatigue that were caused by anemia. Say that they took steps to treat their anemia but did not see results soon enough. Their doctor, meaning well, decided to raise their thyroid dose to help them have more energy. Likely, it would have worked for several weeks or maybe even a month or two. Even if someone has a reason to be tired, stimulants can give more energy temporarily. Excess T3 can act as a stimulant. Back to this example, after the boost from the extra thyroid wore off, her body could have developed a secondary cause of fatigue – hyperthyroidism. Even if her anemia got better, she might still be tired. Had her doctor asked her to wait for the anemia treatment to work, she would be set. It is the nature of ideas to shift as they mature over time and spread from group to group. Wilson did not advocate testing for rT3. He felt that the only diagnostic tools needed were the presence of his 63 symptoms and the BBT. He is still training doctors in his model, which is essentially unchanged since the early 1990s. However, many ideas he championed within his model have taken on a life of their own in alternative medicine. Just as testing is more relevant to alternative medicine today than in the 1990s, it is more central to the ‘neo-Wilson’ model then it was to the original. High rT3 levels can cause unexplained hypothyroid symptoms. rT3 is seen as the actual source for symptoms, not just a bystander. It is important to discover and treat the cause of high rT3. Most docs consider stress, dysbiosis, heavy metal toxicity, or chronic infections as the main causes. At least there is one step in the right direction. Some argue that the ratios of T4 to rT3 or the ratios of T3 to rT3 are important. While many of these ideas and ratios were speculated about in the 1970s, none were determined to be clinically relevant. Their only existence is in alternative medicine circles which tout their importance without citing evidence. Some also are under the misapprehension that rT3 can be randomly generated despite the overall amount of thyroid hormone present. Others who use facets of Wilson’s ideas use high rT3 levels as justification to raise the T3 in their patients’ medication or exclusively use T3. Key Insight: Despite these ideas, the evidence is clear. High rT3 comes from too much thyroid hormone or from some hidden metabolic stressor. It is not a problem of conversion from T4 to T3, and apart from hospitalized patients, it yields no more data than a TSH alone does. Some doctors claim that when on T3 or NDT it is normal for the TSH to go low or to zero. They argue that the body has enough thyroid hormone so it quits asking the thyroid to work. This is not how the pituitary-thyroid axis works. Thyroid pills work because they elevate the amount of thyroid hormones in your bloodstream. When these levels are high, the TSH is lowered. Even T3 or NDT lowers TSH. In a healthy state, the TSH is not too low. It only lowers below roughly 0.4 IU/mL when there is too much thyroid hormone. Others claim that T4 is not essential and that only T3 is needed since T4 is made into T3. We now know that T4 by itself is essential for normal brain function and the repair of brain cells. It is also needed for repair of the lining of the blood vessels. In fact, the D3 enzyme in the brain favors T4 over T3 by default. When people take high dose T3, they not only lack T4 but when they lower their TSH they block their own thyroid from producing T4. Like T3, T4 also boosts metabolism, but in some different ways that are outside of this discussion. In one representative study on NTIS, 98 patients with chronic fatigue syndrome (CFS) were screened for it and compared against 99 patients who did not have CFS. Of those with CFS, 16 had Low T3 Syndrome, compared with 7 in the non-CFS group. The chart and the discussion below explain the typical progression of thyroid lab findings at varying levels of hypo and hyperthyroidism. The same pattern emerges whether someone is taking thyroid hormone or not. *Please note that these patterns are typical and reflect normal hypothalamic, pituitary thyroid regulation and normal peripheral metabolism of thyroid hormones. At this stage, there is a complete lack of thyroid hormones. The TSH is grossly elevated as a maximal effort to stimulate the thyroid into producing the hormone. T4 and T3 are low because the mechanisms of peripheral regulation are no longer able to offset the deficit of hormone. Reverse T3 is also low because the body is converting as much of the T4 as it can into T3. In this stage, the thyroid is being told to work harder and the body’s peripheral regulation is able to activate more T4 into T3 and maintain adequate amounts for the body’s needs. If either the T4 falls below range, the person has hypothyroid symptoms or both – then this is called hypothyroidism and not subclinical hypothyroidism. ‘Eu’ is a prefix that means good. 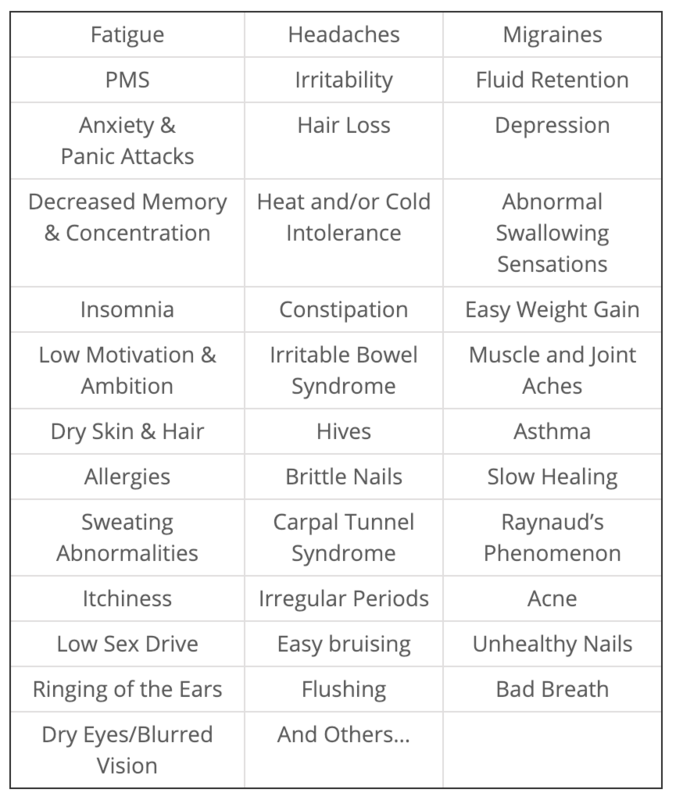 This is the normal range for thyroid hormones. Please note that this range may not reflect optimal thyroid function. As thyroid hormone levels start to elevate, the first step to change is that the TSH lowers and the reverse T3 starts to elevate. These mechanisms are able to prevent T3 and T4 from elevating. It is common to see T3 levels low because the body is working hard 2 offset the extra burden of thyroid hormones. It is important to note that even this first stage of hyperthyroidism does carry hyperthyroid risks to the brain, the heart, and the bones. This level is especially relevant to low T3 syndrome as many people who are incorrectly given this diagnosis are simply on excessive doses of thyroid hormone. Because of the body’s efforts to block the effect of too much hormone, they cannot have low T3 levels. They can also have a mixture of symptoms some of which appear to be more hyperthyroid in nature and others are more hypothyroid in nature. For example, they may have a combination of anxiety, insomnia along with fatigue, and weight loss resistance. At this stage, the TSH will be slightly lower and it is less common to see the T3 low. Reverse T3 will still be elevated. Typically by this point, the body can no longer regulate T4 but maintains its efforts in preventing T3 from being too high. TSH will be lower and reverse T3 we will therefore still be elevated. This is the level at which the body can no longer control the excess amount of thyroid hormones. Both T3 and T4 are now elevated and TSH is maximally suppressed. I must open this section by owning the biases of my perspective. Since there are no peer-reviewed clinical outcome studies on Wilson’s model or its newer variants, my experience comes from patients who have experienced the therapies or from doctors’ recounting their patients’ experiences. If there were large numbers of patients who had lasting remission from their symptoms due to this approach, they would not seek out other guidance on their thyroid health and I would therefore not hear from them. I could also argue that if the vast majority of patients had such outcomes, there should be few that attempt this approach and feel the need to try anything else. If these approaches were as safe as their advocates make them out to be, the stories of side effects and mortality should be non-existent. Neither of these premises is true. Wilson claims that after a cycle of raising T3 doses followed by lowering doses, the ‘optimal’ BBT is ‘captured’ and the patient’s symptoms now stay in remission without ongoing T3 therapy. The Neo Wilson claim is that by resolving various metabolic problems, rT3 will lower. This is true, but in the Neo Wilson case, rT3 does not lower because most of the patients are still on some version of high dose thyroid replacement (usually including T4). The typical case report is the same post-WTS or post-Neo Wilson. The patient is left on a stable dose of compounded sustained-release T3 that is well above their physiological maximum. They are stuck in a state where they are aware of some mixture of side effects like insomnia, palpitations, tremors, and anxiety, but know that if they attempt to lower their dose they feel devastating fatigue. They also generally suffer from some level of lower grade fatigue as well as generalized muscle weakness. It seems that if only they could tolerate a higher dose, these symptoms would resolve. They likely would, but it would not last. What they do not understand is that having too much thyroid hormone can make them feel like they have too little and that each time the dose is bumped up it takes a few weeks before the body is able to partially resist it. The only way out is to reduce the thyroid dose to one that fits the body’s needs. For many of these patients, thyroid replacement was never needed in the first place. Based on how long they were taking high dose thyroid, they often have a chance of being able to come off of it completely. In Conclusion: For those who were overdosed for more than a year, it’s usually a period of 3-6 weeks of not feeling well to tolerate a lower dose. It tends to go even easier in coordination with other health issues being resolved, but it should not be delayed. Who Should Measure Their rT3 Levels? For patients in the intensive care unit, there appears to be a benefit to measuring rT3 in addition to TSH. It may help predict the severity of the situation and their prognosis. It does not predict a benefit from thyroid replacement therapy. Key Insight: For people who are not in intensive care units, there is no benefit to measuring rT3 levels. rT3 is inversely related to TSH. If a patient has a high TSH, it can be expected that their rT3 is low. If they have a low TSH, their rT3 will be high. If I Do Have A High-rT3 test, How Much Is Too High? Although labs have reported high and low ranges, there is no data saying that any ranges are more useful than others. The most common scenario I see with high rT3 is that someone is taking too much thyroid medication. This is also called exogenous (from outside the body) hyperthyroidism. Here is a classic scenario. It starts out with a person who is on thyroid treatment. Maybe they started it for good reasons maybe they did not, but in either case they are on thyroid medications and they still have hypothyroid symptoms. Key Insight: In order to try to help with the symptoms such as fatigue, they try a higher dose of thyroid then seems warranted by their blood levels. Maybe their doctor suggested it, or maybe they read something online suggesting it would be a good idea and the doctor was willing to see if it helped. Often it does help for a few weeks, but the results do not last. After a few rounds of the same cycle, they stumble across the concern of rT3. They get a blood test done, and sure enough, they have high levels of rT3. Remember, this is a person who is on thyroid medications and is already taking too high of a dose. If a doctor understands the true nature of rT3, they should not be surprised at this finding in this context. Unfortunately, many are not, instead they are receiving the wrong impressions about what is ultimately the best course of action. I do not order rT3. If a patient asks about it, I give them an explanation that summarizes this paper. If they have a lab that shows their rT3 is high, they ordered it themselves or another doctor ran it for them. When it is flagged as high, they have some other findings showing that they have too much thyroid hormone in their body. The main one is a low TSH, it is the first to emerge. If they have a more dramatic excess or if they took their blood tests soon after taking their thyroid medication, they may also have a high T3 or T3. Something that often confuses patients and doctors is the fact that those on too much thyroid medication can have the same symptoms that they would have if they had too little. If they raise the dose, the symptoms often go away for a few weeks and it seems like another dose increase is the best idea. Many doctors talk about how it is more important to track symptoms or BBT than blood levels. The goal is to improve symptoms, but if a doctor ignores hyperthyroid blood levels, they are jeopardizing their patient’s health. 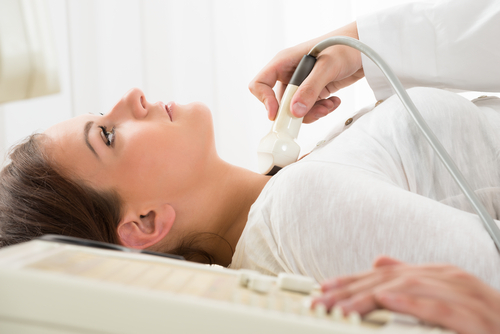 I’ve spoken to patients who feel that they only have more energy when they are hyperthyroid. This is a real problem, but taking an unsafe amount of thyroid hormones is not the answer. The goal is to find the other causes that are contributing to the symptoms and take care of them. To further the point, imagine that we were talking about high dose amphetamines instead of thyroid hormones. You could likely imagine that if someone had an untreated cause of fatigue, they might temporarily feel more energetic after taking amphetamines. However, it would be clear that taking amphetamines could be even more harmful to someone with an undiagnosed problem. The same is true for thyroid hormones. In Conclusion: What if you are already on T3 medicine? Your life is not worth mincing words – please work with another doctor who has a deeper grasp of these issues. Their best course of action will be to first ascertain as to whether you ever needed thyroid medications in the first place. If not, they should taper you off. If you do need them, they should guide you to a safe dosage of a medication that includes T4. If you are not taking thyroid medication, but your rT3 is high and your TSH is low, you have endogenous (made from inside the body) hyperthyroidism. Over 90% of the time the culprit is Graves’ disease. Other causes include toxic nodular goiter, Hashitoxicosis, and pituitary adenomas. I have seen too many cases in which hyperthyroid patients were not promptly diagnosed and treated. It can also happen that a doctor thinks it is not too bad and that it might go away on its own. Key Insight: Having too much thyroid hormone in the body by itself can drive the autoimmune reactions behind Graves’ disease. This is called the hyperthyroid autoimmune loop and it is a real vicious cycle. It can quickly progress to fatal complications like thyroid storm. Please do not delay the diagnosis and treatment of hyperthyroidism. The last situation is the one I see the least. That is because I do not order rT3 tests nor do most other doctors. If a patient had any results from an rT3 test, the test was almost always ordered by a doctor who holds certain views about thyroid care. These views often include a willingness to prescribe hormones at levels that can induce hyperthyroidism. If you do have high rT3 but are not hyperthyroid, the answer is to find the cause. First, think about any medications you are on. Of those from the list earlier in the article, the most common ones used include oral contraceptives, estrogen replacement (even natural), metformin, and beta blockers like propranolol. Next, think about your diet. If you have reduced your total food intake, your carbohydrate intake, or your protein intake, any of these can be the culprit. Specifically, too little carbohydrate blocks D1 and D2 enzymes leading to lower T3 and in many cases higher levels of rT3.63 If you are low carb or keto, the most expedient way to improve your thyroid function is to add back some high-quality carbohydrate to your diet. Next, do a thorough medical screening. A good panel of blood work, a cardiovascular workup, and spirometry (breathing test) can identify signs of chronic infection, diabetes or prediabetes, liver disease, heart disease, or chronic obstructive pulmonary disease. Also, consider your mental health. Major stress, depression, or PTSD can all cause Low T3 Syndrome and high rT3. If you do have NTIS, you are best served to work with a good diagnostician. The best approach is not to try therapies to see if they make you feel better, the most important step is to find out what is wrong. If you are on thyroid treatment or have thyroid antibodies, your rT3 levels may be artificially elevated. The immunoassay method used to measure rT3 is also inconsistent. Many healthy people have high rT3 levels for no reason. Individuals can also have their rT3 levels fluctuate greatly for no apparent reason and with no relationship to their current health. To the doctors: high-dose T3 therapy is not congruent with our current understanding of optimal thyroid function. Naturopathic physicians do not need to succumb to fads, short cuts, or quick fixes as represented by high dose T3 therapy. Doing so only weakens our stance on the power of lifestyle and nutrition. Key Insight: To those seeking to feel better – high-dose T3 medicine is not the answer, even if it seems to help. If your doctor has recommended T3 for you, please share this blog with him or her. The answer is to find the cause and treat it. For those who need thyroid medications, getting them right is part of the answer as well. Many do not need thyroid medication, but no one will feel well when they are on a type or dose of thyroid medication that is not right for them. 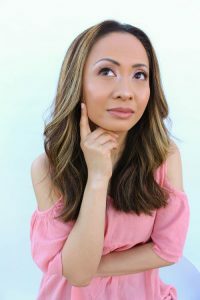 In Conclusion: The process of determining what are the real causes behind the symptoms, whether or not you need thyroid medication, and how to figure out what is best – has taken me the last 26 years to figure out. There are no simple answers but if you need help, I’ve got an amazing team of docs who will be there for you. When situations are especially complex, we all work together. Once these things are squared away, your body can work its magic – you can again enjoy the vibrant health and happiness you deserve.